History – Gone in a instant. A recent event in a neighbouring village suddenly thrust to the front of my mind a though I have had in the back of my head for sometime. 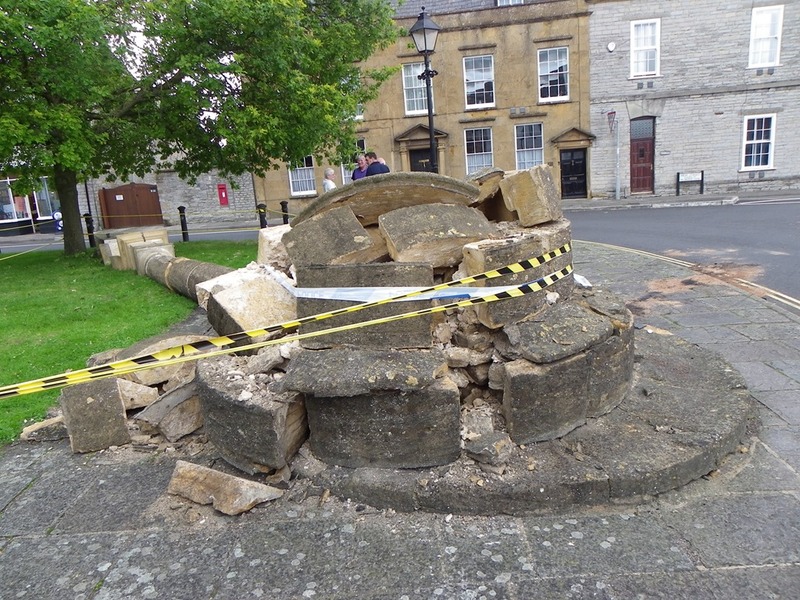 In the historic village of Ilchester in Somerset, the Market Cross which has stood since 1795, was destroyed in seconds by an allegedly drunken driver. Hopefully it can be restored but only time will tell. The incident however does illustrate how fragile and transient in nature historical objects are. Once they are gone, they are gone forever and can never be replaced. As much as mankind may seek to protect ancient artefacts and buildings, it is a war that is gradually being lost in the passage of time as catastrophes like fire, earthquakes, accidents, natural weathering or even wanton destruction by extremist groups with warped ideologies as happened at Palmyra in Syria, gradually take their toll on ancient structures. I suppose in some ways, the knowledge of historical events is far more enduring than physical objects, but again that is reliant in those who are interested in preserving that knowledge. As time passes, events that were of great importance to the people who lived through them, can become increasingly less important in the perception of future generations. Events that happened say two thousand or more years ago with Mediterranean rulers and armies establishing Empires through conquest and the like are still of interest today, but are not of the same importance to the current generation as those who lived through and experienced those times. One cannot help but wonder if the human race survives for say another 100,000 years, what importance or interest, if any, our current world events will be to that very remote future generation? In one hundred millenniums time, in such a future generations perception of the past, they would probably consider us to be much closer to the ancient Romans than we do ourselves. Our current world is still heavily influenced by the events of the two Great Wars, but to far distant generations, they might not be more than interesting points to note, like grains of sand on the beach, in the great tide of history that has yet to be created between now and 100 millenniums in the future. It it also quite probable that just as the great empires of the past have vanished, the great nations of today will also have vanished or changed into something unrecognisably different. Human aspirations and needs are always something of a constant great melting-pot of change, and political thoughts and divisions have always been a great driving force for internal change within countries. As the saying goes, ‘Nothing is forever’. I cannot help but speculate that if time travel were possible, (and I do not believe it is), and those distant future generations could be visited to be asked what they thought about the UK’s struggles in leaving the E.C. or Russia and the USA being at constant loggerheads with each other, the ego-deflating response would likely be one of, “Who”. One of the nice things I find in life is both living in Somerset and now being retired. The latter now gives my wife and I great opportunity to explore in-depth the former. Quite frequently we go for a drive either in Somerset or elsewhere in the West Country with no particular destination in mind other than where the winds and fate takes us. Normally we take a Sat-Nav with us on these trips, not to take us anywhere but to ensure we can always find the way home again. I find Somerset is something like a jewel encrusted treasured crown. The gems are places, history, myth, scenery and people. I have never been a believer in the magical connotations of mythology but I do love history and recognise that history does form the basis and half-truths of much myth. One such gem we recently encountered was the Stag’s Head Inn at Yarlington. 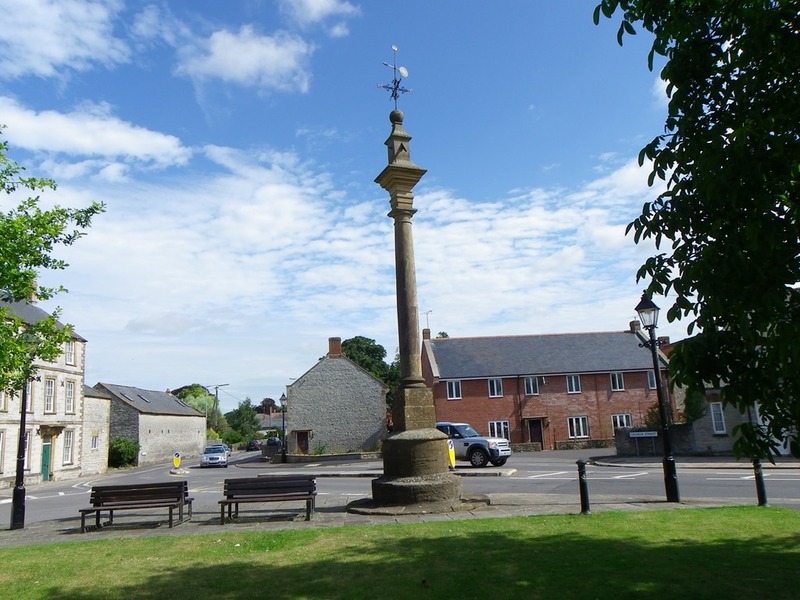 Accessed via hilly twisting and definitely one vehicle width only, narrow country lanes, the tiny village of Yarlington is set on the crossroads of four such thoroughfares. Small as it is, Yarlington was mentioned in the Domesday book under the name Gerlincgetuna meaning the settlement of Gerla’s people. The Stag’s Head Inn is thought to have been established in the 1850’s replacing two independent ale houses. The lunch time menu was surprisingly varied with a good choice of modesty priced inclusive meals including tea or coffee representing exceptional value for money. Neither service or food could not be faulted and the decor quiet and tasteful. I liked the centre table which incorporated the workings of an old cider press. Although I did not venture into the public bar, it could be observed on entry and reminded me of a very comfortable and delightful old time “snug” which seem to have died out out of fashion in most public houses. Even when settling the bill with a well-sated appetite I was presented with a further two chocolate mints with my receipt. As a member of staff said, they did not like customers leaving still feeling hungry. At that moment hunger was the last thing on my mind and I gratefully pocketed the mints for another occasion. I find it is little touches such as this that make life so pleasant and worthwhile and I certainly will be visiting this little gem again. 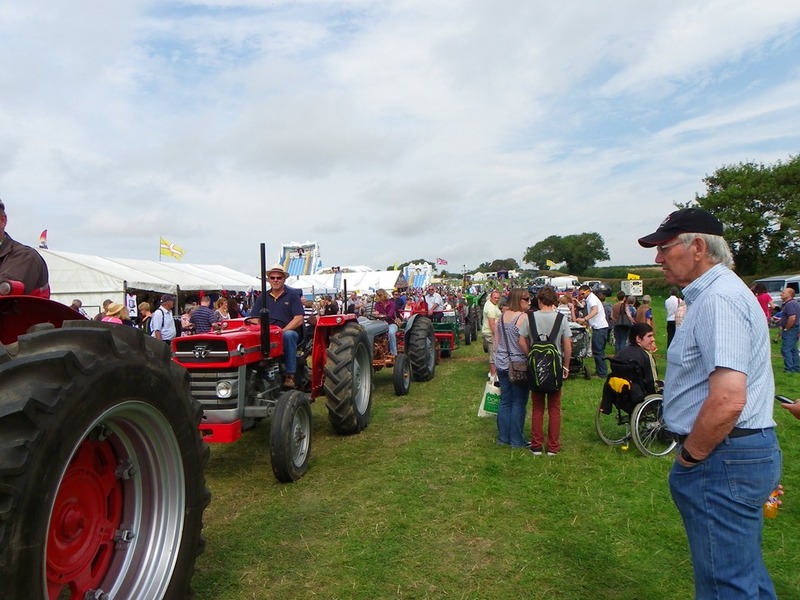 September started with a visit to the Dorset County Show held on the outskirts of pleasant town of Dorchester. The day was warm and sunny with a fortunate brief dry spell before the show ensuring the ground did not become a mud bath. The showground has a number of arenas allowing for the simultaneous display of the many and diverse activities one would expect of a mainly rural county. Equestrian competitions, livestock events, trade and handicrafts, farming as well as popular attractions just to name a few of the events going on throughout the day. By midday many thousands of visitors were onsite milling around the numerous marquees and exhibitions. Various food halls always prove to be something of a magnet for the crowds with their vast array of delicious delicacies all begging to be sampled. This years mouth-watering display of produce proved no exception. Displays of what can now be considered historical tractors are always a popular crowd puller as well as their more modern descendants which now tower above mere mortals. 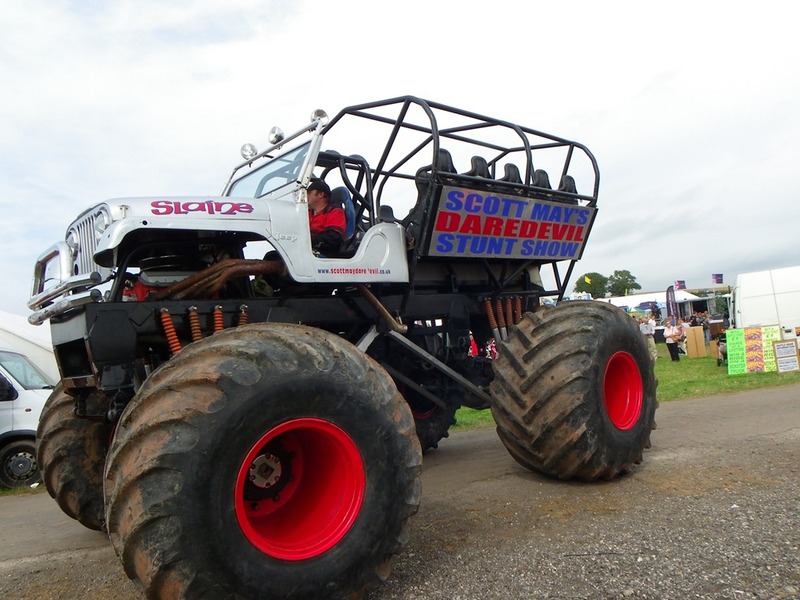 Amongst the popular attractions was a daredevil stunt show which included car crushing monsters of vehicles and Titan the robot. 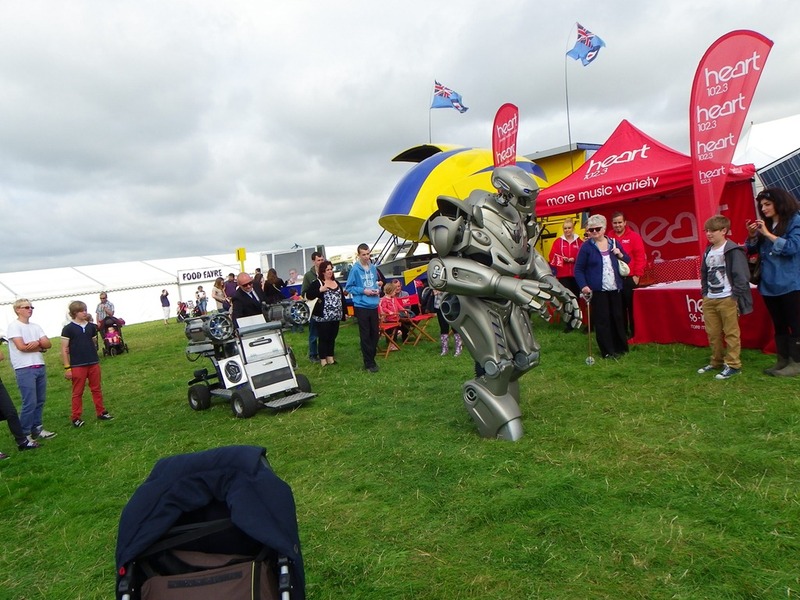 Titan toured the large showground on a specialised vehicle stopping at random location to put on a show of singing, dancing and off-beat comedy to the delight of young and old alike. 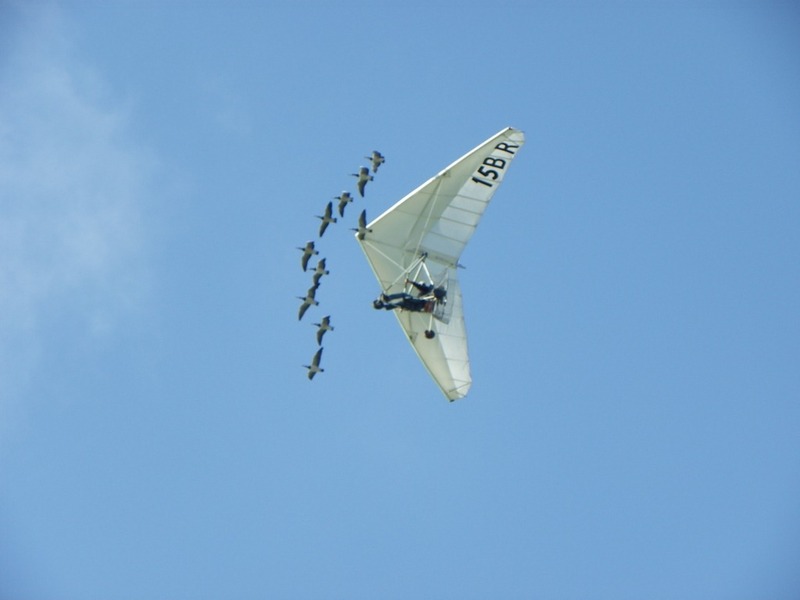 Also flying above the shows at various times during the day in a micro-light aircraft was the Frenchman Christian Moullec accompanied by his gaggle of flying geese. All the geese raised by Christian since birth consider him to be their ‘mother’ and follow him everywhere he goes even in the air. By the end of the day, all of my friends who were with me including myself were feeling very weary and footsore as a result of touring this most enjoyable of large county shows. Carrying heavy bags each filled with half a lamb bought at greatly reduced prices from a local butcher exhibiting at the show back our cars greatly added to our satisfied and pleased weariness. Saturday evening was certainly one for a hot bath and feet-up relaxation period. We paid a visit to Somerton today, sadly it was to pay our last respects a dear friend who passed away on the same evening as his daughters funeral less than two weeks ago. The service was held at the 13th century church of St Michael’s and All Angels. Apart from its age, the church is built with both local Lias and Ham stone . It also contains one of the finest ornately carved vaulted roofs in the country. It is a pity the circumstances of our visit did not allow for a greater exploration of this obvious historical treasure of a building. Somerton itself is a pleasant small rural town built on top of a hilltop. It was once the capital of the Kingdom of Wessex first mentioned in documentary records in the year 733. 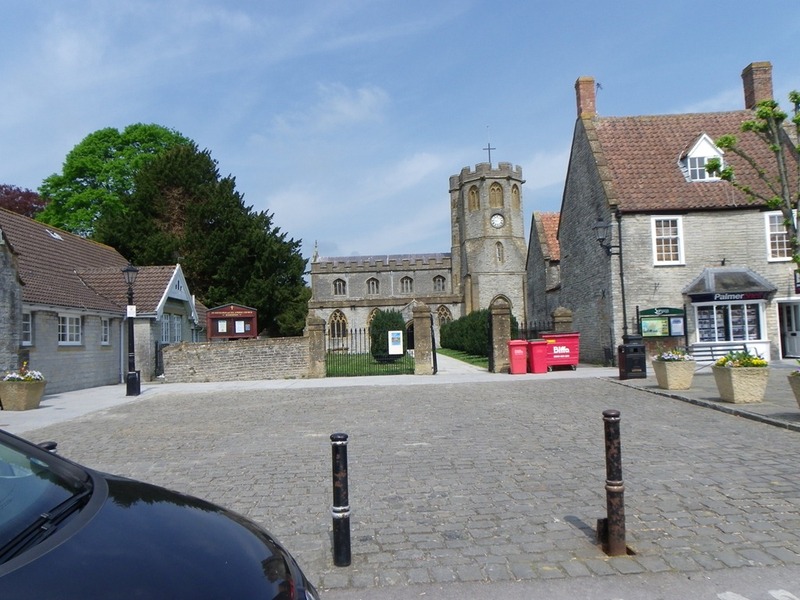 The name of the town was extended to the people in the area it controlled and this area eventually became known as Somersetshire or Somerset as it is known today. 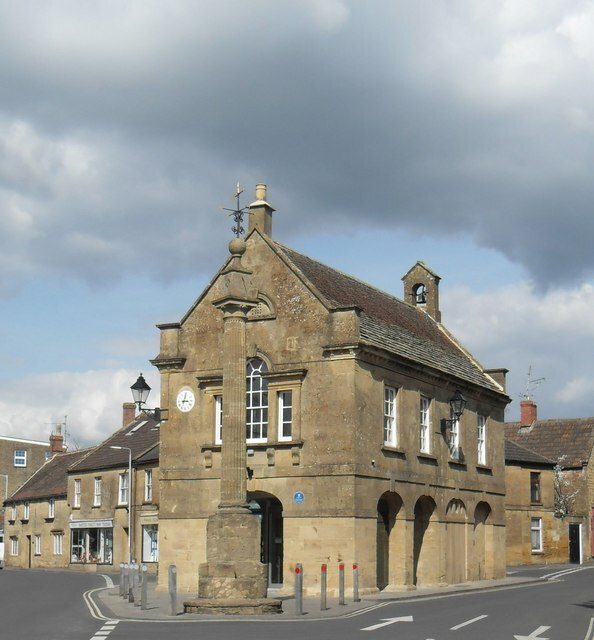 Apart from the church, other prominent surviving historical features in the town are the Market Hall and adjacent Butter Cross. This is a small covered market that has stood in the market square since at least 1390, well before the New World was discovered. As the march of time has brought mighty nations into being in the New World, somehow time has kindly passed Somerton by to leave it to its relatively undisturbed peace. I do hope that the future passage of time allows this to continue. Following a so far relatively mild winter, February has arrived greeting us with our real first cold snap of the season with overnight temperatures falling to -10° F. This cold spell also brings to the landscape something of a quiet, almost haunting stillness with little stirring as far as the eye can see. Sometimes I find myself visualising when looking across this frozen vista of the more lush green appearance that will emerge in the spring, as if I was laying a painted transparency across an existing picture. Sadly it has also been the time to say goodbye to an old friend who recently passed away, made even sadder by another close friend in the same family passing away two weeks later. 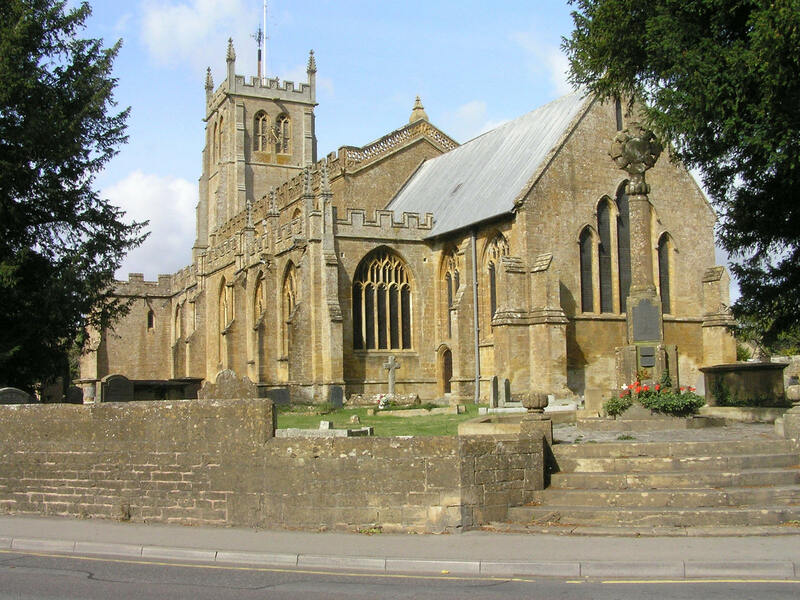 I attended a funeral service at All Saints Church, Martock, somewhere I had not entered before. All Saints is a large church in a small rural community dating back at least until the year 1227 and for such a large vaulted roof, the building was surprisingly warm and filled to capacity, as indeed I know the forthcoming funeral service of my other friend in this family will be. Such is the warmth and esteem this family is held in locally. Following the service, I was looking at the interior architecture of the church which included a number of niches containing statues of saints in the upper walls. I noticed several of the niches were empty except for painted pictures depicting relevant saints which natural curiosity caused me to research later if there was a reason for this. It appears the church was used as a billet for the troops of Oliver Cromwell during the English Civil War. Following the Battle of Bridgewater in 1645, parts of the church were damaged by troops and some of the statues of saints removed. I find it truly amazing that even minor aspects of history are still abundant around us for any that care to look and see. Martock itself is a large ancient village mentioned in the Domesday Book its name being derived from ‘mart’ the old English word for market and ‘ac’ meaning oak from a oak tree that grew where the present day Market House stands. 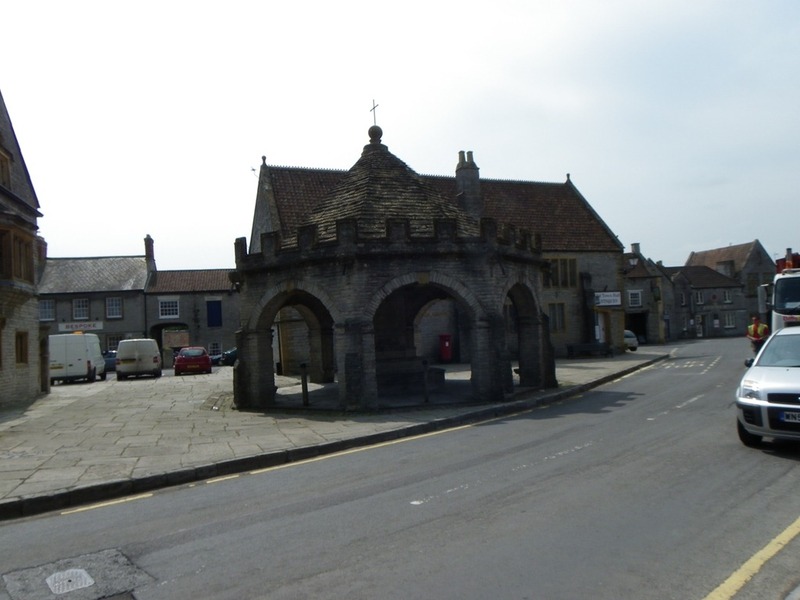 The Market House is itself an impressive structure dating from 1753 and is built of local Ham stone on the same lines as many such ancient market buildings with arched walls providing a covered market area below elevated rooms above. Most of Somerset is richly steeped in history including much myth which I find deeply embellishes the knowledge of our past in such fascinating ways. Visitors to this part of the country are always warmly welcome and there is always the renowned local Somerset cider to quench the thirst of weary travellers.